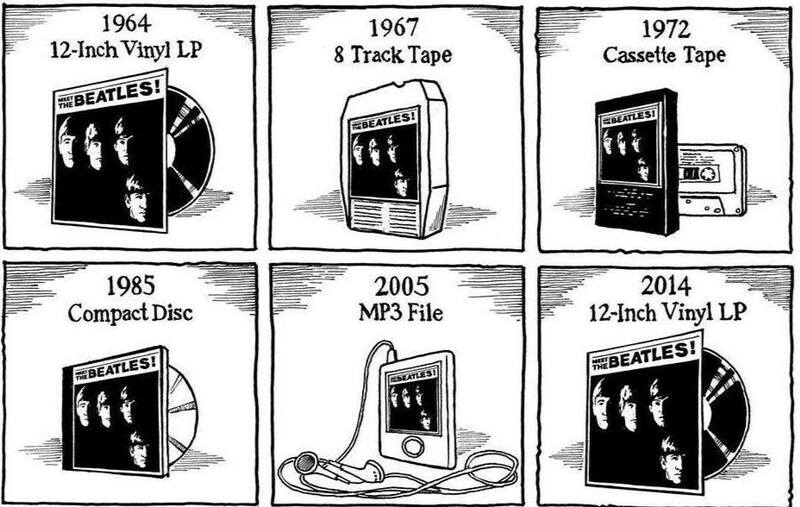 The above image chronicling my entire 50 year music tech journey with The Lads. I’ve gone down this entire route, and I’m so happy I did. Hope this helps and thanks for reading/commenting. I think it would probably be in an issue that came out in 2014 or later because the final panel has the format going back to vinyl in 2014. Thanks for the suggestions.